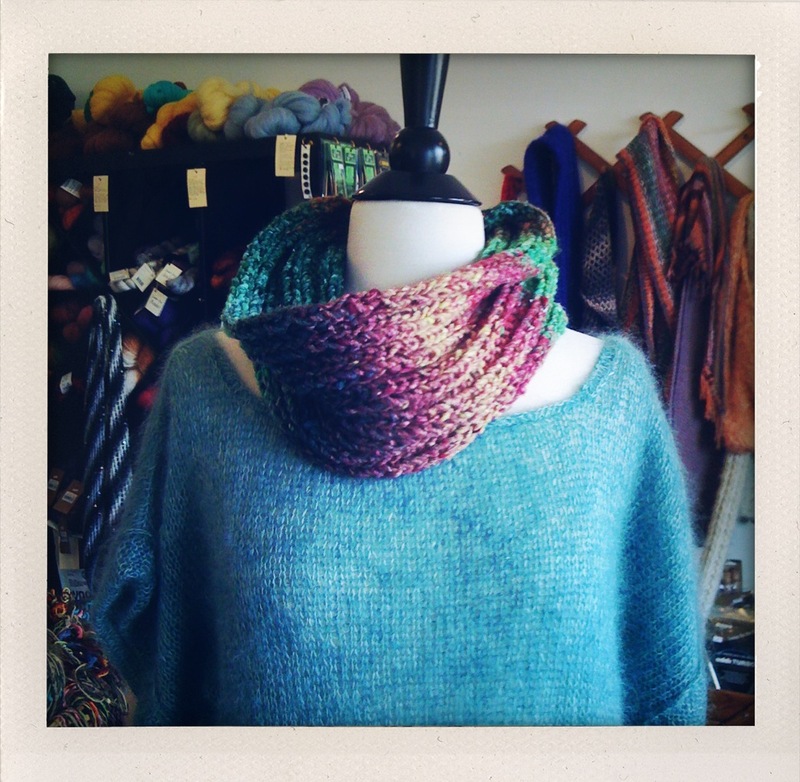 The Odori Cowl was born in one of those perfect bursts of random inspiration where out of the blue I knew exactly how many stitches to cast on, precisely what needle size for maximum drape, resulting in the complete and serendipitous usage of only 1 ball. It was magical, one of those cherished and rare knitting moments where I actually didn’t have to frog it and start all over again. And did I mention I’ve worn it every day since? Materials: US size 15 needles, 1 ball Noro Odori Yarn (110 yds, 14 sts per 4″), jumbo darning needle. Cast on 32 stitches loosely. Work a K2, P2 rib until you have used up almost the entire ball (leaving enough tail for cast off and finishing). Cast off loosely and sew the two ends together. How lovely! 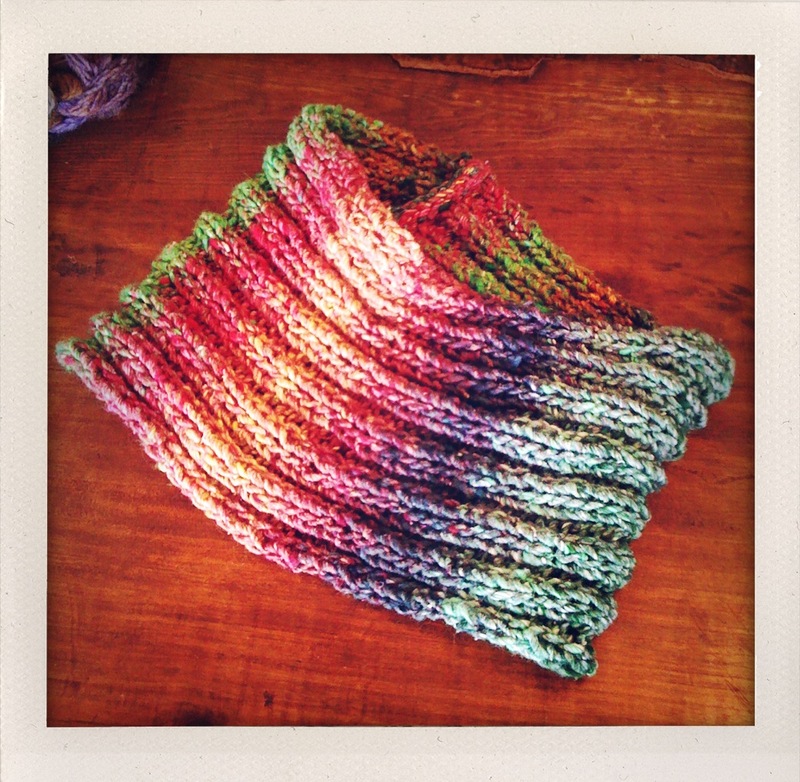 Thanks for sharing the pattern directions – this is on my list of what to knit next. Perfect for my one skein of baby alpaca. love it and casting on in minutes.